Welcome to our instruction manual explaining how to use the Euro Vape eGo e-cigarette. Whether you’re waiting for your new Euro Vape e-cigarette to arrive and want to learn how to use it in the meantime – or you’re on the fence about buying an e-cigarette and want to learn how they work first – you’re in the right place. In this guide, we’ll explain how the eGo e-cigarette works and tell you how to get the most out of your experience with our product. Want to learn more? Read our Ultimate eGo E-Cigarette Guide. The eGo e-cigarette consists of two parts: the battery and the clearomizer. The battery provides the power necessary to vaporize the e-liquid. It also houses the button that you use to control the device. The clearomizer contains the reservoir that stores your e-liquid and the heating coil that vaporizes it. All of the components work together to create vapour that gives you the sensation of smoking – and the nicotine – with no combustion, no smoke and no tar. 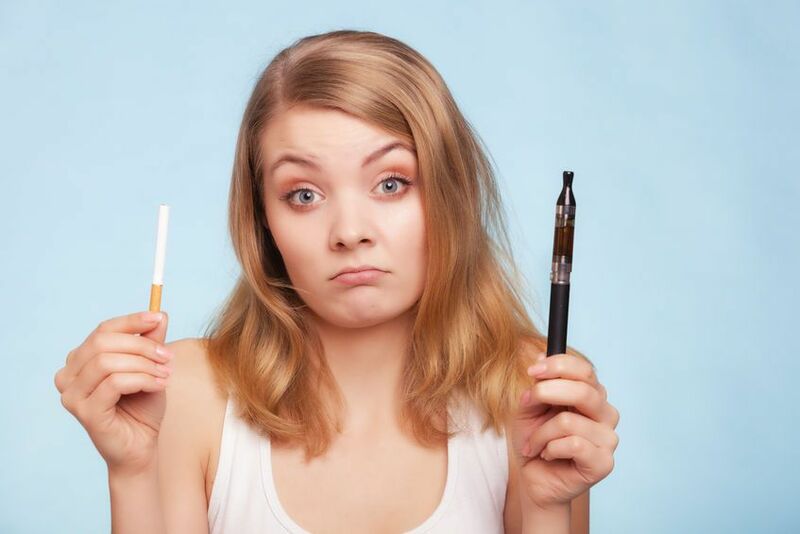 Although all e-cigarettes operate in essentially the same way, the eGo e-cigarette is unique in that it is among the oldest and most reliable of all e-cigarette designs. The eGo e-cigarette has been helping smokers convert to vaping since 2010. Your Euro Vape eGo e-cigarette includes a USB battery charger. You’ll charge the battery by connecting the charger to the threading at the top of the battery and connecting the other end of the charger to one of your computer’s USB ports. The battery charger has an indicator light. When the light changes colour, the battery is ready to use. NOTE: The Euro Vape eGo e-cigarette battery is designed for charging via a computer USB port or standard USB mains adapter. Do not attempt to charge the battery with a “fast charging” mains adapter like the one included with your smartphone or tablet. A fast charging adapter can overheat an e-cigarette battery. The Euro Vape eGo e-cigarette includes a clearomizer that can hold up to 1.6 ml of e-liquid. To fill it, you’ll twist off the clearomizer’s black mouthpiece to expose the clearomizer’s e-liquid reservoir. Place the tip of an e-liquid bottle between the clearomizer’s centre hole and the outer wall of the clearomizer. The centre hole is for air and vapour only; if you get e-liquid in the hole, it’ll cause clogging or leaking. Fill the clearomizer until the level of e-liquid matches the top fill line on the side. Replace the mouthpiece. NOTE: After filling a new clearomizer for the first time, wait a few minutes before vaping. The clearomizer’s wicks need time to soak up the e-liquid and draw it to the heating coil. Using the clearomizer before it is wet could damage the heating coil or fill your mouth with a harsh, unpleasant flavour. The Euro Vape eGo e-cigarette has a button that locks for safety. When the fire button is locked, the e-cigarette will not operate. Use the lock function when storing, transporting or stepping away from the eGo e-cigarette. To lock and unlock the battery, press the button five times quickly. The light flashes in response. Don’t forget that you’ll have to unlock the battery before you can resume vaping. After you’ve charged the battery and filled the tank according to the instructions above, your eGo e-cigarette is ready to use. Place the mouthpiece of the e-cigarette between your lips. While holding the button, draw the vapour slowly into your mouth before inhaling it to the lungs. Exhale the vapour and release the button. Would you like your eGo e-cigarette to produce more vapour? Take longer puffs while maintaining the same slow pace. As a smoker, you’ve become accustomed to the fact that a cigarette’s paper burns faster in response to faster, harder puffs. That doesn’t happen with an e-cigarette. The atomizer in your eGo e-cigarette quickly reaches its maximum temperature as you hold the button. The longer you inhale, the more vapour you’ll get. If you puff too firmly, you’ll draw e-liquid from the tank’s reservoir to the centre air tube. Your e-cigarette will make a gurgling sound. You may even get e-liquid in your mouth. If you want your eGo e-cigarette tanks to last as long as possible, the most important thing to remember is that the heating coil should always be wet. Don’t use a new tank immediately after filling it. Don’t chain vape; wait for a moment after each puff. When your tank begins to run low, fill it promptly. The next thing to remember is that you should avoid using heavily sweetened e-liquids. Many flavours taste sweet on their own. If you use an e-liquid with added sweetener, though, it’ll taste a bit like sugar-free candy because the most common e-liquid sweetener is sucralose (Splenda). Sweetened e-liquids taste good, but sucralose leaves deposits that will shorten the life of an atomizer coil. You can expect your eGo e-cigarette tanks to last about 1-2 weeks each. The battery, though, may last a year or more depending on usage. Care for your battery and charger and keep them clean to ensure the longest possible life. If you spill e-liquid on the battery, wipe it away with a paper towel or microfiber cloth. To ensure a good electrical connection, you can clean the terminals on the battery and charger with a paper towel folded into a point. You can also clean your eGo e-cigarette tank if you want to wash away the flavour of an e-liquid before filling the tank with a new flavour. To clean the tank, disassemble it and swish the components in warm water. Remember, though, that water and wires don’t mix; leave the tank out to dry for at least a day before using it again. If you’re in a hurry, you can dry your tank a bit more quickly with a hair dryer on the lowest possible heat setting.